SuperAdmin is a powerful-lightweight fully responsive retina display compatible admin template based on Bootstrap 3. 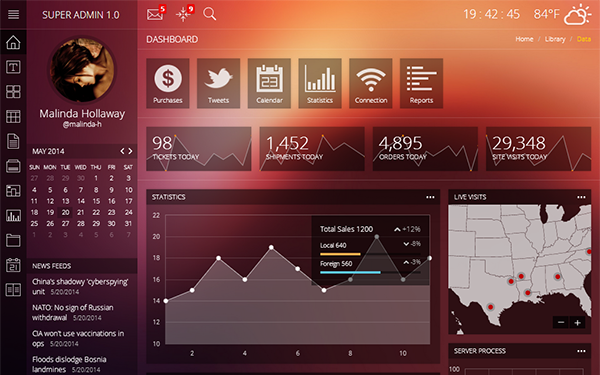 SuperAdmin comes with 14 different skins and over 25 jQuery fully customized plugins. SuperAdmin is fully Responsive and adapt well in any devices. All the pages are HTML5 validated and neatly coded. 14 eye-catchy skins to match any kind of business. Item Reviewed: SuperAdmin Responsive Admin Template 9 out of 10 based on 10 ratings. 9 user reviews.